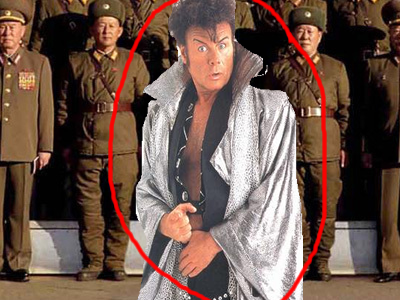 ANORAK’S man in the Koreas can confirm that North Korea’s 66-year-old supreme leader Kim Jong II is alive and well. 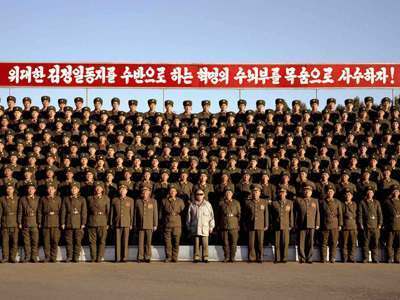 Rumours abound that newly released images of Leader No 1, 2, 3 and 4 have been in some way doctored. One picture shows Kim Jong Not Il In The Slightest watching a game of football between no footballers. Another image shows Mr Kim inspecting two military units. It can be studied after the jump.